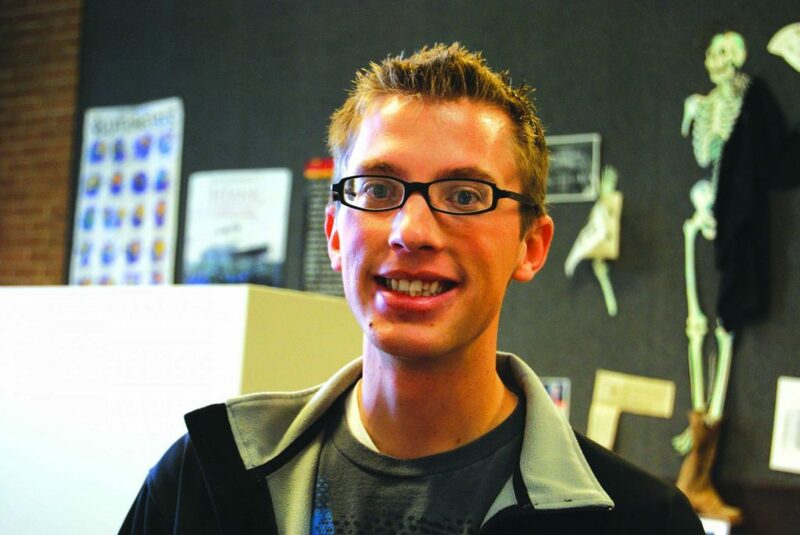 Andrew Higham has been an intern recruiter for the College of Eastern Utah about three months. “Terry Johnson came to my high school and started recruiting students. He got me to come to CEU and look at the campus, so I decided to try it,” he said. He began as a CEU ambassador in 2006 and recruiting students full time at the beginning of August 2010. The internship lasts until the end of January 2011. “Then I go back to my ambassador responsibilities, then throughout next semester I’ll just have return visits,” said Higham. He is looking forward to the possibilities of continuing his education and receiving a bachelor’s and master’s degree, but there is a possibility that he will return to USU-CEU and start recruiting full-time. “I really like the position I am in, just working with all of the colleges. I am in a perfect position because I am looking to transfer to a university. I have the opportunity to talk to a lot of the deans and important people,” he said. Higham is originally from Clearfield, Utah. He is 22 years old. Both of his sisters attended CEU and were also in student government. Higham felt like he had to one up them and become an ambassador. He enjoys playing soccer and loves the outdoors. He can handle a small town but also likes being able to go to the city every once in a while. Higham served an LDS mission in Portland, Ore. He said he loved the area, and he learned a little bit of Tongan while he was there. “I really like it here. There are a lot of things that I have done. I have gone to school in Price for four semesters now. I graduate next spring. I would like to transfer to a university and find a place to continue my education. Although I would have changed my personal life, I would have liked to spend more time with my wife,” he said.